Council members said the new regulations are meant to preserve Seattle’s housing stock for local residents. But a special deal for some existing operators stirred controversy. By limiting the number of homes that property owners can operate as short-term rentals for visitors, can Seattle preserve its housing stock for locals? The City Council decided to try the strategy Monday, voting 7-0 to enact new regulations for short-term rentals, including those listed on platforms such as Airbnb and HomeAway. Council members said they want to rein in a rapidly growing industry that caters to tourists and other out-of-towners looking for alternatives to hotels. With rents and home prices rising and affordable housing in short supply, Seattle can’t afford to lose permanent units, council members said. The regulations, which will take effect on Jan. 1, 2019, will require all operators of short-term rentals to obtain licenses and will limit new operators to listing their primary residence and one additional unit. Existing operators across most of the city will be limited to renting out two units (three if adding their primary residence at a later date). Only existing operators with short-term rentals in the downtown core and in small buildings constructed after 2012 on First Hill and Capitol Hill will be grandfathered in. They’ll be allowed to continue listing as many units as they do now, plus their primary residence and one additional unit. The new limits won’t affect mom-and-pop operators using their own homes to make ends meet, council members said. They said the limits are meant to prevent business people from taking large numbers of units off the housing market and from converting neighborhood apartment buildings into de-facto hotels. 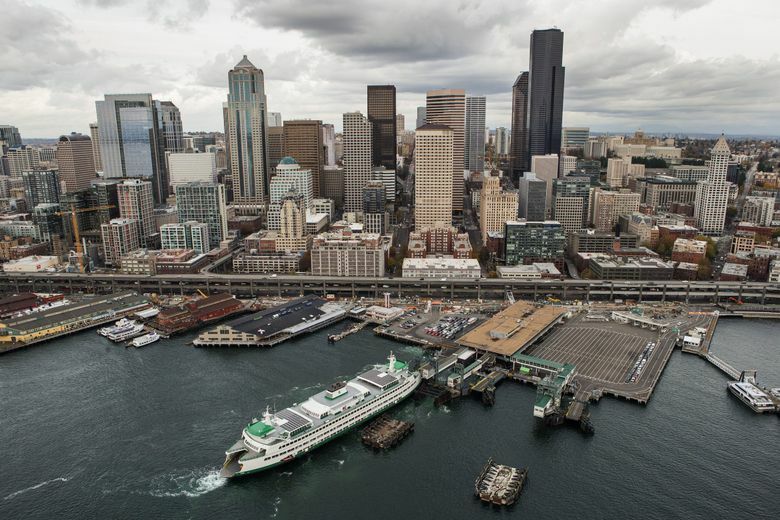 The regulations, which Seattle officials began working on about two years ago, garnered support Monday from a variety of interested parties. Representatives for Puget Sound Sage, a nonprofit organization concerned about short-term rentals contributing to gentrification, urged the council to take action. The city has lost more than 2,000 housing units to the short-term rental market in recent years, according to the organization. People of color are hurt the most and benefit the least because they’re less likely to own property, said Yolanda Matthews, an organizer with the group. Though online platforms are challenging the traditional hospitality industry, both Airbnb and the Seattle Hotel Association praised the regulations. Laura Spanjian, Airbnb’s Northwest public-policy director, called them a “landmark win,” because most of the company’s hosts list only one or a small number of units. And Shannon Sheron, president of Seattle Hotel Association, said the group is pleased short-term rental operators will now be licensed. The council recently passed separate pieces of legislation defining short-term rentals as certain units offered for fewer than 30 consecutive nights and adopting a tax on short-term rentals of $14 a night for entire homes and $8 a night for rooms. The council did also hear from critics of the regulations Monday, as some short-term rental operators who own or lease many units warned the new limits would result in lost jobs, many of them held by women and people of color. Some began operating short-term rentals legally and paying taxes long before Airbnb used technology to become a key player in the industry, they said. The most controversial question Monday was where in the city to grandfather in existing operators, with Belltown becoming a battleground for the debate. A council committee last week recommended a version of the regulations that would have given the special deal to operators in Belltown, Uptown, South Lake Union, Pioneer Square and part of the Chinatown International District, in addition to those in the downtown core. The deal was initially put together in exchange for some operators agreeing to drop legal challenges against the regulations. But Councilmember Sally Bagshaw — responding to complaints from some Belltown condominium residents about invading tourists — championed an amendment Monday to cut the additional neighborhoods out of the deal. Bagshaw said she wants to increase the number of units available for Seattle families to live in. But many of the Belltown units now used as short-term rentals are high-end homes unlikely to become affordable options for locals, some critics replied. The council voted 5-2 to approve the change. Council President Bruce Harrell and council members Mike O’Brien, Teresa Mosqueda and Lisa Herbold joined Bagshaw in supporting it, while M. Lorena González and Rob Johnson opposed it. Council members Debora Juarez and Kshama Sawant were absent. Short-term rental operators and platforms will pay fees to cover the administrative costs of the regulations.